How long can you keep the flashing skip ball in motion? 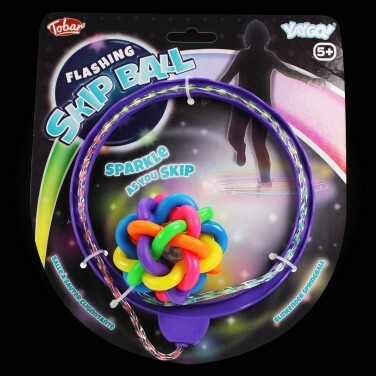 Swing, jump and skip to activate the LED ball inside this flashing skip ball toy. Loop the hoop around your ankle and swing to begin your skipping game jumping over the string and activating the flashing ball for extra sparkle as you go! Lit by blue and red flashing LEDs, create colourful trails of light as you swing the skip ball for fun co-ordination games that'll keep you jumping!